Thursdays mean at least a 3 hour visit at my doctor. I’m so used to it that it doesn’t even bother me. I have to have my general visit, my TOCU visit (checking heartbeat / movement) and now my fifths disease sonogram because I was exposed a few weeks ago. Each TO DO is done by another person. So, once I’m done with one thing I have to go sit back in the waiting room for my next appointment. Lots of waiting. Lots and lots of waiting. But look at the gift I received! 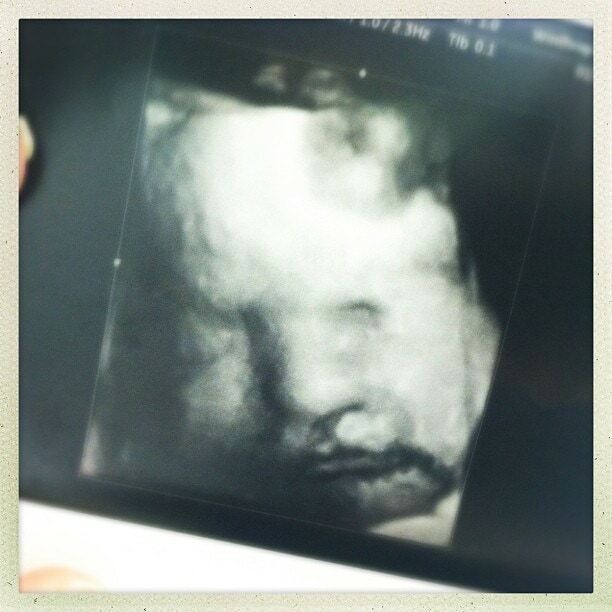 A 3D picture of Mr. C. And let me tell you… he is a little Liam for sure!!! Sure, it looks like he has a mustache and beard… these pictures aren’t perfect. But OH THAT FACE! It’s just very exciting. 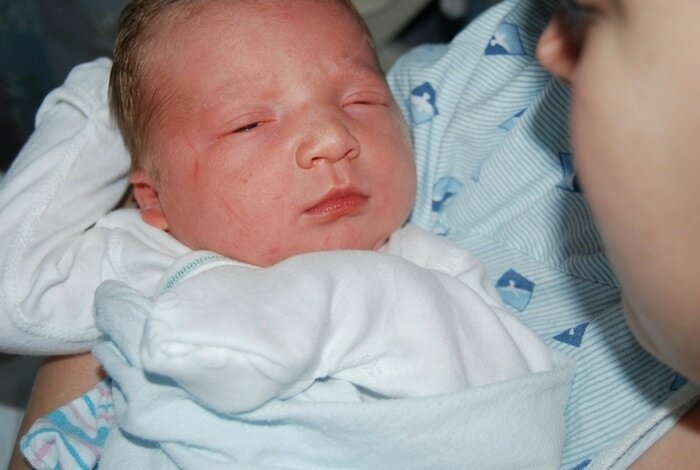 Here is a picture of Liam the day he was born just so you can see the comparison. Anyway – I’ve been doing more and more these last few days. Absolutely getting wiped out by the end of the day but it feels good to move around. It really, really does. I’m in such a different state right now. Counting down the days until I meet my little man, get my tubes tied, and then start raising all my babies. 😉 Life is good. such a cool picture comparision! somewhere else i think i remember you writing you were okay to have a vbac. but when you say youre going to have your tubes tied means you will have a c-section again? Wooohoooo! I’m so glad you made it this far! 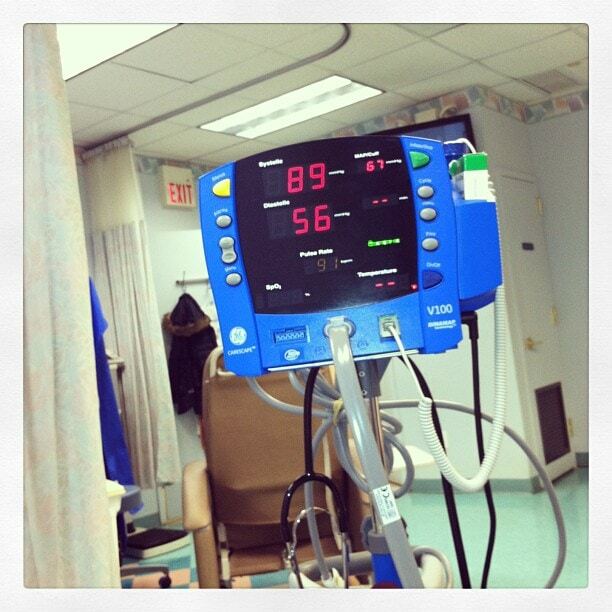 AND you didn’t have to be in the hospital like you were with Liam! Baby C does look just like Liam. It’s amazing that now you can see that much. Way to go Vera! I have to say it again – I’m so glad you made it this far!!! My guess for the name of Mr. C is Colin…time will tell!